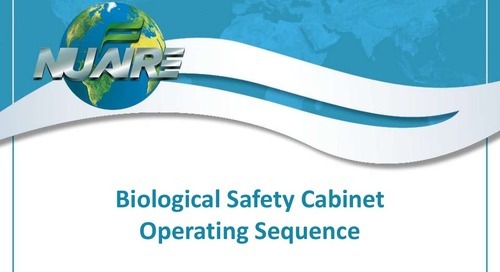 A simple and easy presentation on the proper sequence of events a user should take when operating a Biological Safety Cabinet from start up to shutdown. 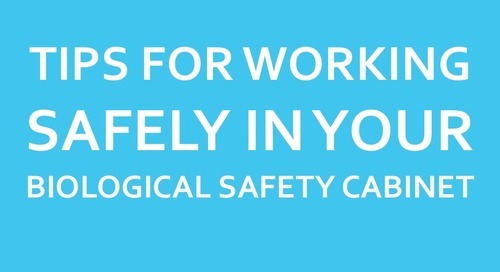 Learn a few tips about how to work safely in your Biosafety Cabinet (BSC). Lernen Sie die richtigen Verfahren und Schritte zu ergreifen, wenn man in einem zytotoxischen Klasse II, Typ A2 starten Biologische Sicherheitswerkbänke aus bis zur Abschaltung. 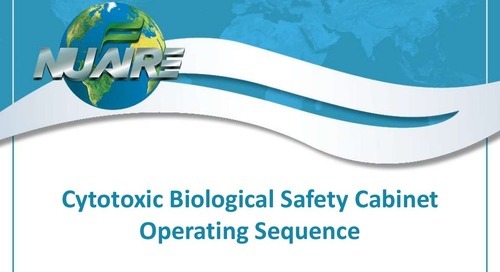 Learn the proper procedures and steps to take when working in a Cytotoxic Class II, Type A2 Biological Safety Cabinet from start up to shutdown.